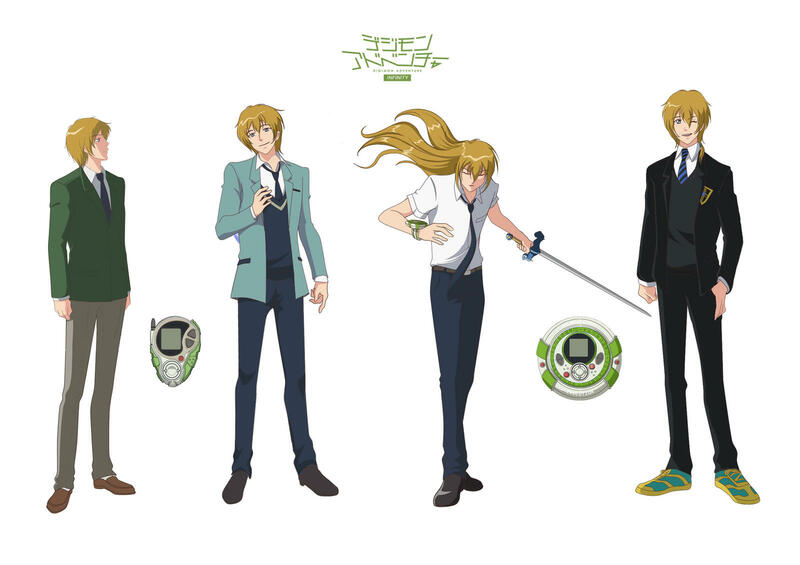 Takeru-kun, the digi-ikemen of Hope, wearing his middle school and high school uniforms. From left to right, ages: 14, 16 and 17. ” Takeru-kun certainly ´s blossomed quite a lot” mumbled Hikari to herself , contemplating the sleeping ikemen. “When we were 8, I was slightly taller than him. Today he`s almost one head above mine…not fair!” she resisted the urge of pinching his cheeks. Complaining about the differences between their sizes was useless when size wasn´t even an issue in her book; for the girl who was the embodiment of light yet ready to exchange snarky ammunitions with her best friend while displaying the most charming smirks (or the “scary shiny smiles” that everybody in the digi-group learned to admire and fear at the same time) size was actually the least of her worries. Could it be his growing popularity or how much he embraced the spirit of independence, leaving quite behind the 8 year old sensible self that chased after his brother´s shadow when scared to be by himself or struggling to come to terms with the death and resurrection of his first Angemon…Embracing independence since the day he humbly apologized to Daisuke and quit being a member of the second string of digidestineds because he felt he needed to find his own way. Of course there was no way she could let her best friend be by himself so she also left the group as well and in the good and bad days she remained by his side. Size didn´t matter when realizing that he was developing an aura of mystery , subtle yet firm, in which he was here but at the same time in a far, far away world (which was annoying since THAT was her SPECIALITY and it wasn´t so wonderful after all when somebody else was displaying such trait and leaving her to figure out what the hell was going on in his mind!) At least, she was confident in this one, it was highly unlikely that Takeru-kun was going to be dragged to a lovercraftian scenery like the one she was lured to, back in their 11s. He was way braver than her . Yet she knelt by his side and kept watching his beautiful face. Lately he would go to the terrace and after quickly finishing his bento, he would use the lunch period to indulge into a nap. 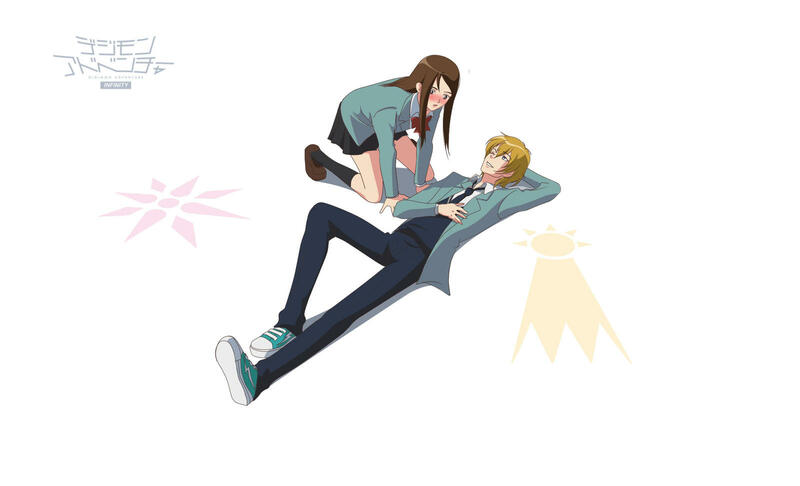 Hikari had no choice but to embrace the duty of waking him up otherwise he could sleep until the stars showed up. He was like a cat, he loved to sleep! If she could fix the one lock of his hair that looked out of place and fix his unkempt bowtie without waking him up, would that be okay? And would be considered overstepping her bounds cleaning the tiny, remaining crust of bread from his lips? She leaned closer, unconsiously drawing her face to his to the point of reaching the so called distance of a kiss. Her heart began to beat like crazy, the intensity of the beats was so high that it was comparable to a wild rock n´roll! It was a perfectly cliched shoujo manga scene. Sugar, sparkles and lots of expectations floating in the air. And the river would had followed its course of sweetness had not the Sleeping Beauty opened his eyes. His words startled the girl and had she not been on the ground already she would had tripped and fall flat onto it. Lately I’m all for creating my own “opening” for my digimon fanfic fansite so, after drawing my digimon fanarts in several styles for a good while, I decided to simplify them into the typical anime style and take it from there if I manage to make some animations. The other day I posted a slight redesign of my ocs Nova Takariyama, her elder brother Magnus and Hikari Yagami. 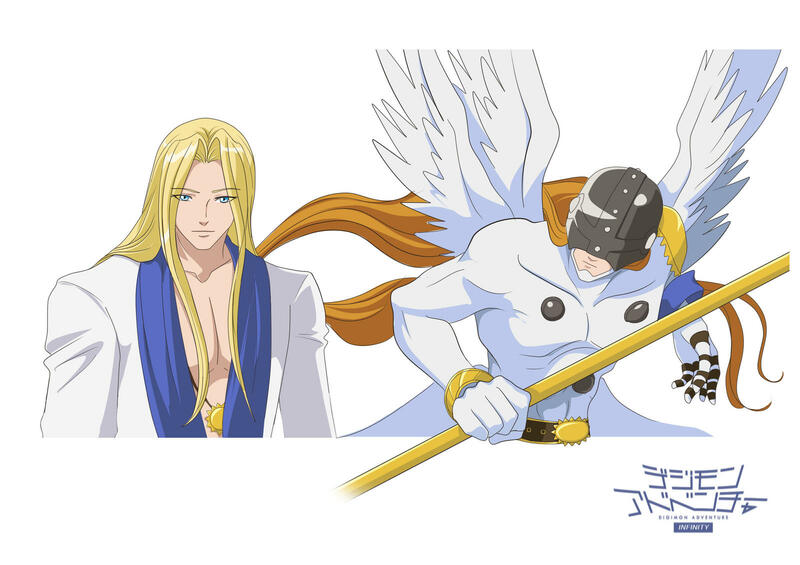 While the other digidestineds are on the way today I’m posting my newest revision of Ange, – who just happens to be Takeru Takaishi’s first Angemon which died defeating Devimon but in my story his soul was sent to another digiworld -from reality 012- instead of being allowed to rejoin his other self patamon inside the newly created digiegg and another Angemon took his place much to his annoyance- in both his civilian and digiangelic forms. After living for a while with his new partner Nova he learned to embrace his humanity and have fun besides protecting the worlds. 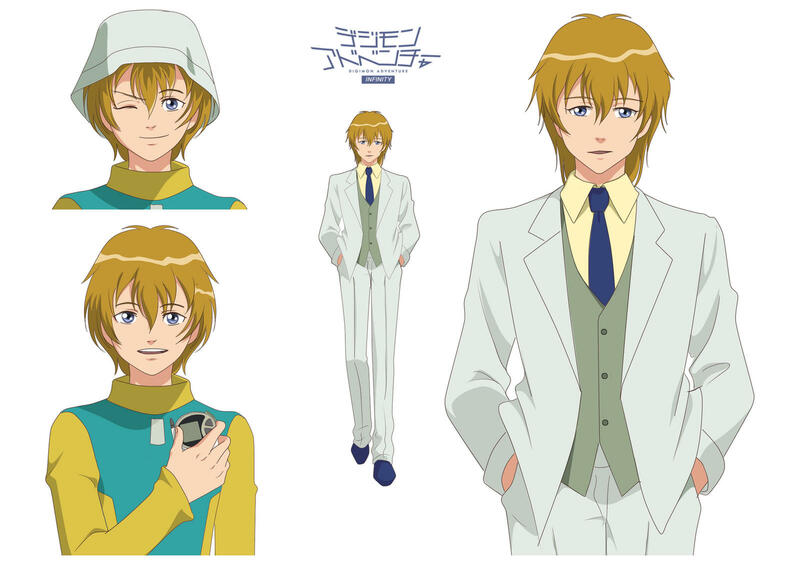 Handsome, sometimes naive and sometimes a bit of a smartass, Ange would eventually form – with Nova- an elite group of digidestineds known as Supremes and would, for many years, protect the holy equilibrium of several realities.